Fire & Emergency New Zealand (previously the NZ Fire Service) is the last bastion of safety, tasked with protecting people and property in times of emergency. Following the devastating earthquake that hit Christchurch in 2012, resulting in the loss of 185 lives, the Fire Service undertook a frank review of operating practices. This highlighted a number of key areas where improvements could be made to how it manages emergency incidents. Incidents managed by Fire & Emergency NZ are very fluid. One of the key factors driving safety is the accuracy of information that supports situational awareness. Often the information the response team received was outdated as the situation had changed since dispatched from the station. Updates were handled verbally on the ground or via radio, in often challenging and dangerous situations. This insight gave birth to the Mobile Response App (MRA), a cross-platform mobile application running on Windows, iOS & Android powered 10-12 inch tablet devices. Delivered as a true collaboration between FENZ, NV and Intergen, the MRA project is a triumph of design led thinking delivering real world results. 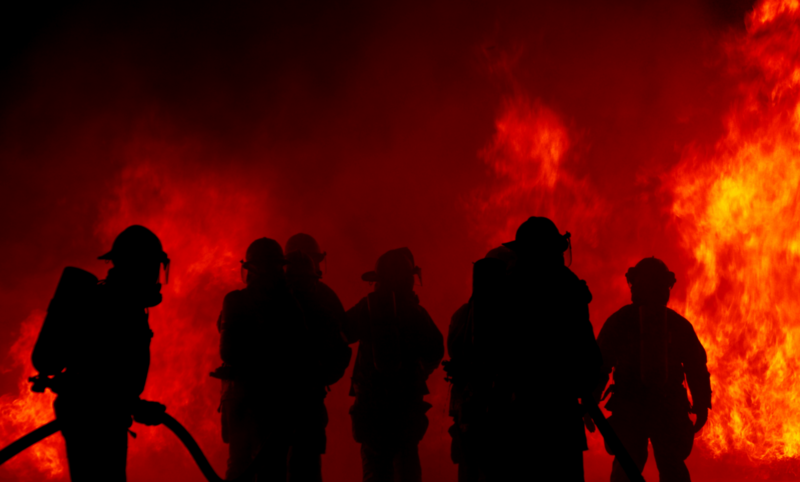 The MRA connects to multiple systems & compiles real time insights, delivered directly to the fire fighters first on the scene, ensuring they have all the most up to date incident information at hand. The app delivers live information in relation to an incident, responding appliances, communications, hydrant, water lines, building plans & any dangerous materials in surrounding areas or buildings, enabling the fire commander to prepare an incident plan & ensure the safety of crew, properties & the community. Prior to development, an interactive prototype was prepared so the UX could be tested & validated. One key finding was that while in a moving vehicle, which is often a bumpy ride, so we needed to ensure that the interface supports large click areas & interaction mechanisms. Another example of a key finding early in this iterative UX process was the fact that first response teams often operate in harsh, dangerous & mobile unfriendly environments, leading to accessibility, availability & reliability challenges. In response, we proposed a night mode setting so the firefighter’s vision was not impaired by screen glare in low-light settings. Equally, large buttons & click areas were necessary to accommodate usage with heavy protective gloves. Embracing people before technology is one of the key lessons learnt during the research, discovery & pilot phase. The successful path to the MRA pilot can be attributed to a combination of people, culture & getting everyone on-board, including the business & most importantly the frontline firefighters themselves. A perfect outcome of design-led thinking. Global cricket technology platform, driving the game of cricket into the future.